1. 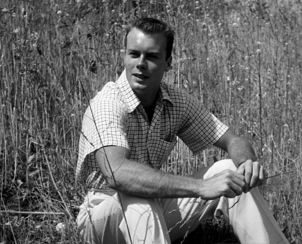 Robert Francis...died at age 25, competed just four films, all at Columbia. The studio was grooming him for big things, but a fatal plane crash ended everything. 2. Linden Chiles...sort of a combination between Cary Grant and Charles Grodin. He made his mark on television, where he did roles until his death at age 80. But his unique charm did not translate into movie stardom. 3. 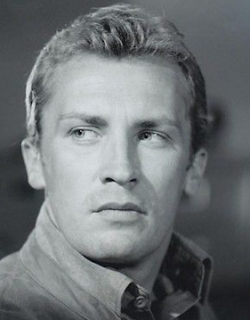 Roy Thinnes...he was busy on television during the 70s and 80s, but with his looks, he should have been a big movie star. If he had come along in the 40s, I'm sure he would have been. The acting profession is very complicated. You need a good match to your personality in terms of a screenplay. More importantly, you need a good agent. I think of somebody like Rock Hudson lucking out particularly with the latter. He was able to avoid any scandal about his private life thanks to a great agent, Henry Wilson, with connections. Also his box office appeal had only fleeting declines. 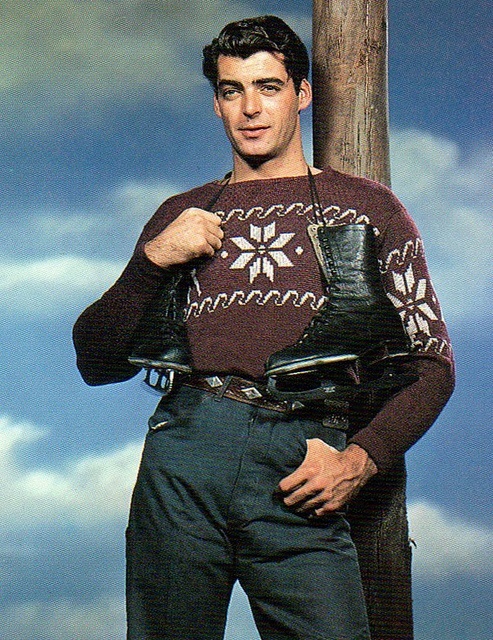 For example, he was at his peak in the mid-fifties, around the time Giant was filmed, then suffered a decline in the late fifties around the time of his curious divorce with lesbian Phyllis Gates. He then bounced back to the top thanks to Pillow Talk, a perfect example of how not one, but two, declining careers got re-activated by just the right script match-up... and Doris Day hadn't been doing well the past two to three years either. 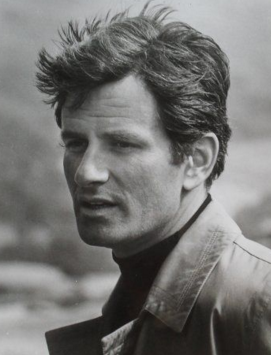 He pretty much coasted the sixties thanks to a few challenging parts that went against "type" like Seconds, then settled nicely as an action star in wartime vehicles before comfortably positioning himself on TV throughout the seventies and early eighties, even appearing on Dynasty in his final days. Thanks to proper management, he was well enough liked by everybody that his disclosure of having AIDS actually helped him more than hurt him in his final days in terms of publicity. In contrast, you have somebody like Leonard Whiting. As a teen, he did an excellent "method" acting performance in Romeo And Juliet, which started filming the week of his 17th birthday in late June 1967. Today, it is still the most popular film version (although TCM has been reluctant to air it) more so than the later Leonardo version. Yet he was not lucky like Rock Hudson, nor did he have a studio grooming him in his formative years (like Universal did Hudson). Leonard's co-star Olivia Hussey at least managed to get supporting roles throughout the seventies (playing Mary in Jesus Of Nazareth on TV). I don't think she was necessarily a better performer than he was, but she had better control over the parts she played. Both had nice voices that rendered well for cartoon work, but, again, she did more of that as well than he did. He did have some minor success in music, but you can see how sparse his filmography is. The telling factors - having an agent who is willing to fight for you and having a studio that will advance your career. I agree. I like your example of Leonard Whiting, who definitely had the talent to be a much bigger star. You compared the evolution of his career with Olivia Hussey's, but it can also be compared to Michael York's. 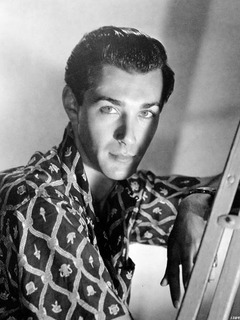 York did not reach the upper echelon of the Hollywood or British film industries, but he certainly kept busy and appeared in many noteworthy productions. Perhaps Whiting chose to focus on stage work. Not everyone wants to be a movie star. I wonder if maybe he was too young, being not sure of what kind of a career or life he wanted. He appeared in a Disney TV show three or so years earlier. Olivia may have been more programmed, I guess, and ambitious. Also Michael York had more experience under his belt, appearing in popular mainstream features already, like Taming Of The Shrew. We all know how it is with child stars. Some know this is what they want and they work hard against all of the "growing up" blues that get in the way (a.k.a. Malcolm McDowell, Shirley Temple, Natalie Wood, Jodie Foster, etc. ), while others are too young to know what they want. I'd say that's a fair way to look at it. It's probably a combination of things-- age, experience, opportunities, representation and the desire to either stay in or get out of the business. Leonard Whiting was "Frankenstein the True Story" (1973) on IMDB there are no credits between 1990- 2015. Olivia Hussey of course was in that musical classic "Lost Horizon"
Hart Bochner makes Colin Firth sweat in "Apartment Zero"
I'd say he made it. He was in several "A" list productions, had a hit TV series; and he had success in Italian pictures during the 1960s. 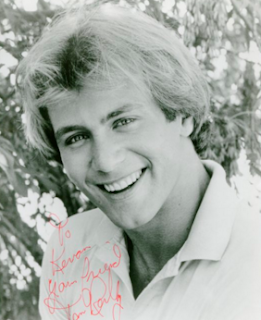 Handsome actors like these guys often appeared on "The Love Boat" - and my only reaction was - "What happened to them?" There are only so many acting jobs and there are way more handsome men or beautiful women than there are jobs. To me that explains 'what happened to them' 90% of the time. Yes. And so for every Tom Cruise in the 80s, there was a Tom Reilly who left the business and went to work doing construction jobs in northern California. I noticed that when Me-TV was airing CHiPs and they did those promos with the old cast members, Reilly was not included. Jameson Parker looks hot in "Prince of Darkness"
He was great on Simon & Simon. Always enjoyed him on that series. 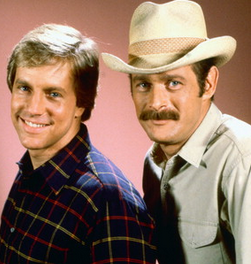 On Simon & Simon he's the yuppie, alongside Gerald McRaney's red-neck. It's really a great contrast with the two brothers and says a lot about the image of young adult men in the 80s. Plus there are people to this day who still think there's a gay vibe going on and if it was rebooted they should not be brothers in the traditional sense. The man burned a hole in the big screen. 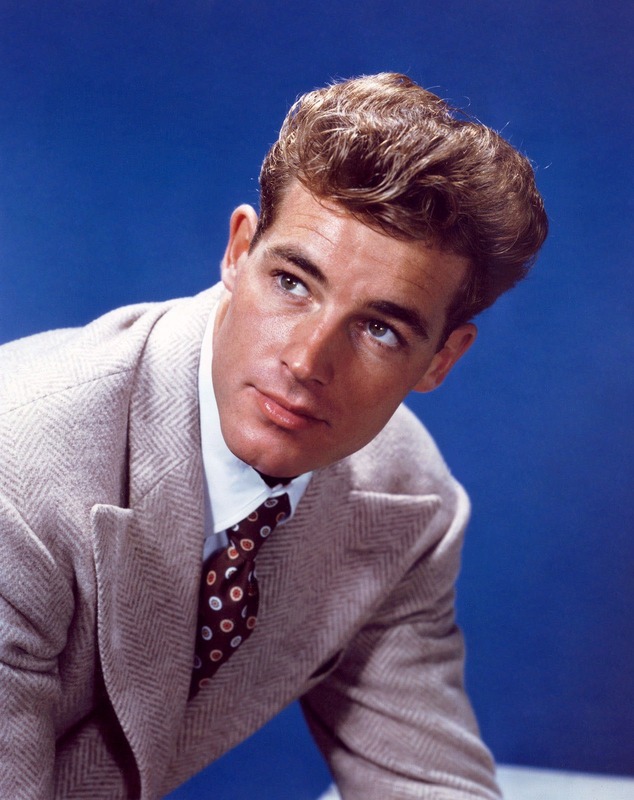 He looks like a young Gary Cooper in that photo. By the way, his autobiography can be found online free of charge. I think he published it on his website or something like that in the early days of the internet and it's easy to find. His stories about the acting business and the problems he had with one of his ex-wives is all rather interesting. He's a good writer.